Q. TedxGateway commenced its voyage in 2009-10, how has it grown over the years? 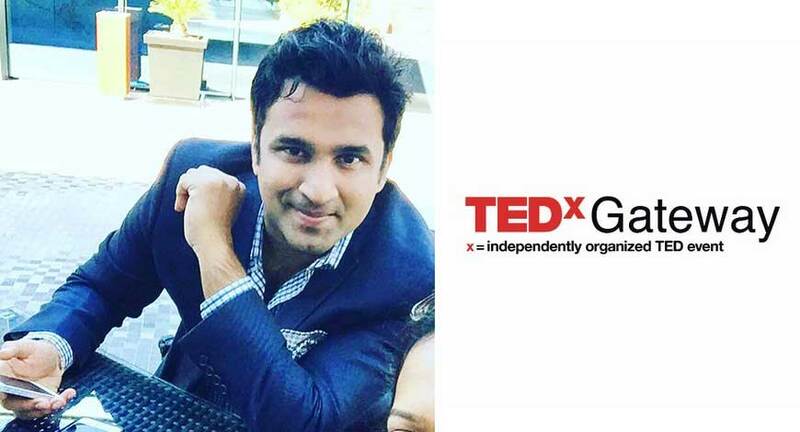 In the first-ever TEDxGateway that we had in Delhi, around 350 attendees had come for the event. For this year’s confluence though, after 8 to 9 years since its inception, we will be witnessing around 5000 attendees at Dome NSCI, Mumbai. This kind of a conglomeration of people in an indoor stadium is happening for the first time in Asia. Also, the event has grown both horizontally and vertically but, horizontal growth has been more interesting as we saw an increase in our popularity on social media handles. Globally it has become a trend today and even the quality of attendees has increased tremendously over the time. Q. How do you choose/select speakers for the conference? There are several aspects that come into play while selecting a speaker such as the body of work, representation of work et cetera. We do not look for perfect speakers, we look at the beauty of ideas, how impactful the story is and what changes it can bring. And that’s what people like. We prefer speakers who have incredible ideas and are able to stand on it. Q. Who are the major sponsors or partners on board for this year? We have several partners and few main sponsors for our event. Aditya Birla Group, Infosys, and JSW are our main sponsors. Whereas, Forbes, Times Network, 94.3 Radio and few others are our partners. Our sponsors or partners understand that we would not be able to provide them with a speaking opportunity on our platform, they understand us as a different brand and that this is not about Return on Investment (ROI) but is about Return on ‘Ideas’ (ROI) and they all respect it. Q. How different will this edition be from previous conferences? This year’s edition is going to be massive. Previously we had around a standard number of attendees who used to come to our event, i.e. around 1150. But this year as I mentioned, 5000 attendees will be joining us for the event. Other than that, the views are expected to be million plus this time. Q. What were the challenges you faced as an organizer in the previous conferences and how did you tackle them? There are many issues that you get to deal with while organizing an event such as this like licensing problem et cetera. But, the biggest issue for us was to educate people about TED. When we got introduced almost a decade back, very few people knew about us. Today the scenario is different, yet we target more and more youngsters to attend and propagate our event. We even allow around 1000 students to come attend our event for free. This edition we will also see people in the age bracket of 85 to 90 attending our event. Then, we also had problems with brand sponsorships, previously no one was ready to sponsor for us but then, later on, one understood how we work and collaborated, then, others saw it and they joined. So, that’s how we tried tackling and facing different problems that came our way. Q. What are the ways through which you plan to engage the audience? We are going to hold workshops from January 21 to February 01, wherein if a speaker is talking about a particular subject which needs to be given an idea of before, can be understood by attendees in the workshop. The attendees can come and attend these workshops first so as to understand the speaker better. Likewise, Arunachalam Muruganantham, the real Padman as he is popularly known as, had publicly spoken for the first time in TEDXGateway in 2012 so we are also going to do a film screening of the movie ‘Padman’ to engage our audience. There is also a pre-engagement planned for the attendees with our fitness expert Goqui. And there are other ways through which we are planning to engage attendees as much as possible.